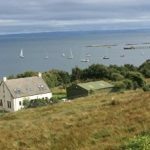 Situated in the Southern Inner Hebrides, just off the west coast of Scotland, The Island of Jura is one of Scotland’s hidden gems. With the magnificent Paps (mountains) rising dramatically up from the sea, this magical island is home to just over 200 people and 5000 deer. It’s also where the legendary Isle of Jura Malt is lovingly distilled and George Orwell found peace to write his epic novel – 1984. We hope that once you’ve explored this website, you’ll be inspired to come and explore Jura for yourself. You never know, you may just have found your new favourite island. Become a member of the JDT for free and see how you can help us more. Looking to come and visit Jura and need somewhere to stay? Find out everything you need on our listing page. All kinds of events happen on the island, from ceilidhs to craft fayres. 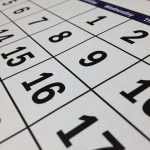 Check out our upcoming events.